Hedychium coronarium : Hedychium coronarium Nurseries. Also known as the ‘Mariposa’ and the ‘Butterfly Lily’ Hedychium coronium with its highly perfumed flowers from summer to autumn has the largest flowers of the genus. A number of varieties are available for sale including a white flowering type and Hedychium coronarium var. urophyllum. 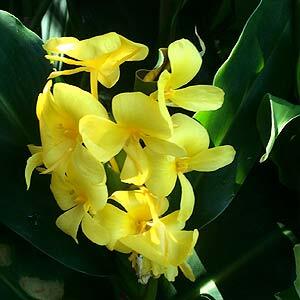 Best grown in tropical to sub tropical climates this is a wonderful plant for an exotic look even in cooler climates. This is an easy plant to grow in both tropical and cooler climates. In Queensland whee the climate is so suitable it grows so well it has been declared a weed. In cooler climates it is slower growing and less likely to spread. The wonderful snowy white flowers are the highlight. Best in a humus rich soil with some moisture and a warm position. Excellent for growing in containers in a courtyard.